Your Third Training Weekend comes when you have completed PARTS (2), (3), & (4) below. Assessment is included in this third CNT Training Weekend provided you have completed the above requirements, and handed in your completed Assessment Questionnaire and Learning-Treatment Notes. PART (2): Foundations of Taoist Practice Steps 1, 2 and 3 (total 48 hours). You can take these Steps any time, before or after your first CNT Training Weekend. PART (4): 8 treatments spaced throughout your training from CNT (click to find them) practitioners. For the Assessment you will give an observed treatment explaining what you are doing and why, and answering any questions put by the Assessor. 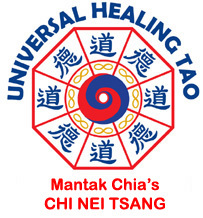 Certification On satisfactory completion of the Assessment you are listed on the London Tao Centre Practitioner Register with the initials CNT1 following your name. You are eligible for membership of the Zen Shiatsu Society, for insurance as a practitioner of Hara Shiatsu (Chi Nei Tsang. Your hours and treatments count as credit should you decide to undergo further CNT training. Registration, To register for the next CNT1 Training click here. You can start Steps 1 to 3 of the Foundations of Taoist Practice any time, or email us if you have already completed any. “This is a deep, powerful and effective therapy: our year-long training ensures you receive good, thorough instruction and proper grounding. Nothing is skimped, everything is rigorously tested. When you qualify, you will be, deservedly, fit to practice. You will be proud to have done it properly, and I will be proud to have trained you.” Kris Deva North, Senior Teacher since 1994 and Founder of the London Chi Nei Tsang Institute.